Phi Phi Island family fun never ends at this lively and intriguing small island holiday destination. Without cars everybody walks and so Phi Phi has a low key and safe feel about the destination. There is a great deal to do on Phi Phi, an island of non stop fun. Phi Phi Island boasts healthy outdoor activities such as snorkeling, swimming, diving, kayaking, shopping, kayaking and walking and this will keep your family busy for days! Phi Phi Island activities are adored by everyone, no matter what age you may be. 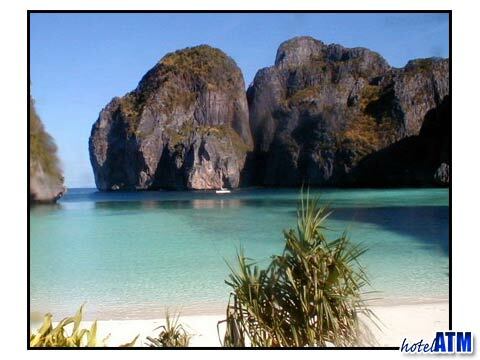 Come partake in Phi Phi Island family fun and bask in the peace and beauty of unspoilt nature. Phi Phi Island is meant to be experienced outdoors. Phi Phi Island family fun can be had on the beaches, in the water, on boats or just strolling around the town, shopping for souvenirs. Learning to dive and exploring the underwater tropics are a few of the favorite Phi Phi Island activities. It is not uncommon to see leopard sharks and unique cave fish when diving in the aquamarine waters of Phi Phi Don and Phi Phi Lay. Children might be taught diving at places like Moskito Diving where they offer PADI courses for children under 12 years old. Even if the kids are not interested in diving the snorkeling around the many beach and coral reefs is sensational and very memorable and well worth the time to check out. Discovering exotic marine life and taking in the beauty of the mountains and native birds is one of the best ways to experience Phi Phi Island family fun. Various companies and businesses offer guided tours around Phi Phi and its neighboring Islands, making Phi Phi Island activities easy and fun. Phi Phi Island family fun doesn't end in the water. There are plenty of Phi Phi Island activities to enjoy on land, as well. Rock climbing is extreme, cliff jumping for fun, shopping, Phi Phi trekking unique, beach hopping sublime and sunbathing are all popular Phi Phi Island activities that keep the whole family happy! With so much Phi Phi Island fun to be had, you will want to stay an extra week! With its stunning vistas and amazing rock formations, Phi Phi Island is a rock-climber's dream! 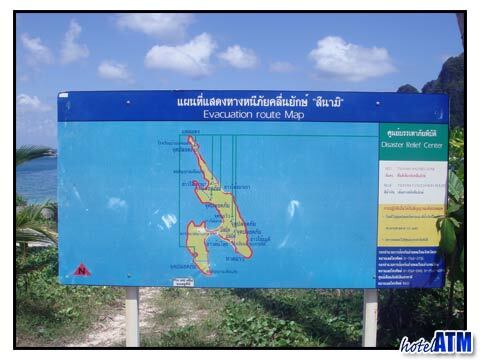 Beginner climbers as well as advanced are welcome to explore the climbs Phi Phi has to offer. However, being prepared and well-versed in proper safety precautions is always the best way to engage in an extreme sport. Lying on the island's beaches, exploring the varied shopping or exploring the wilderness of Phi Phi are some additional ways to enjoy Phi Phi Island family fun. Phi Phi Island activities seem to never end! Trek over designated paths and climb the hills to reach panoramic views that will take your breath away. A lookout point at Tonsai offers one of the best views over the twin Bays of Phi Phi. Because it is such a well known climb, refreshments are available at top, but taking along your own supply of water is recommended. There is a medical surgery on the island Phi Phi Village near the Cabana Hotel and main pier. There are pharmacies on the islands with a good range of medical drugs for most non critical problems. The nearest international hospital is in Phuket at the Bangkok International Hospital.